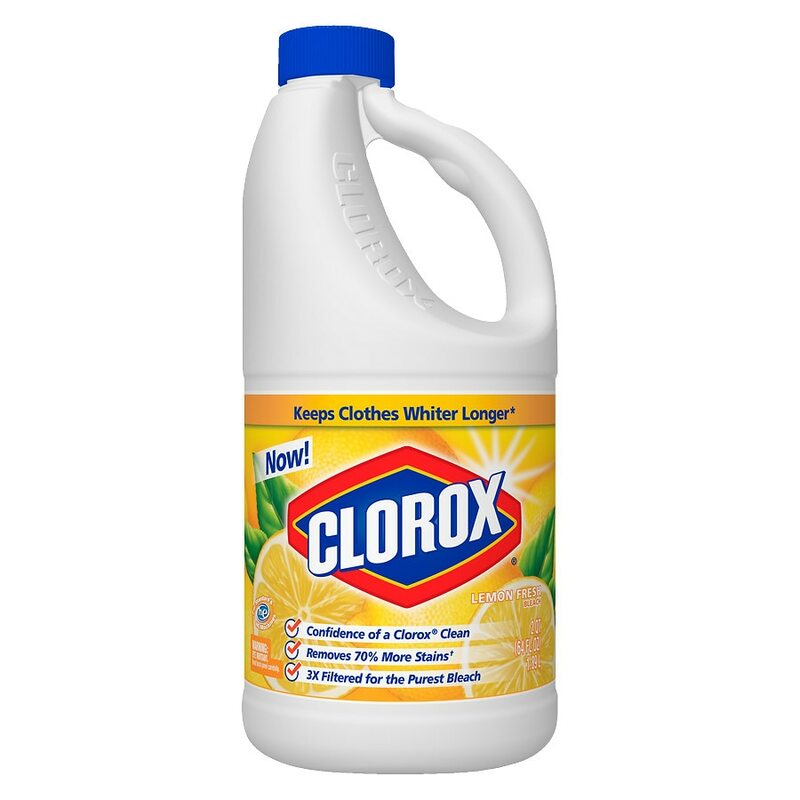 Clorox Bleach is the number one bleach choice in America. This bleach protects surfaces for easier cleaning. Use this bleach with confidence to remove tough laundry stains from white clothing including grass, juice, dirt and blood, or clean countertops, floors, sinks and trash cans. It is safe to use around children, pets and pregnant women. Great for everyday cleaning and seasonal cleaning needs including spring cleaning, back to school and cold & flu season. Contains no phosphorus. Not harmful to septic systems. **vs. detergent alone in HE machines. Not for sanitization or disinfection. To sanitize and disinfect, use Clorox Regular Bleach2. For laundry: Bleachable fabrics: Avoid bleaching wool, silk, mohair, leather, spandex and nonfast colors. 1/2 cup bleach + standard or HE washing machine. For cleaning and deodorizing: Floors, tiles, bathtubs, showers, kitchen sinks, nonporous toys. 1/2 cup bleach + 1 gal. water. Pre-wash surface, mop or wipe with bleach solution. Allow solution to contact surface for at least 5 minutes. Rinse well and air dry. Storage: Reclose cap tightly after each use. Store this product upright in a cool, dry area away from direct sunlight and heat to avoid deterioration. Eye irritant. May cause skin irritation. Avoid contact with eyes. For sensitive skin or prolonged use, wear rubber gloves. Use with adequate ventilation. First aid: Eyes - Immediately rinse with water for 15 minutes. Call a doctor. Skin - Rinse with water. If irritation persists, call a doctor. If swallowed - Drink a glassful of water. Call a doctor or poison control center. Do not induce vomiting unless told to do so by a poison control center or doctor. Do not use or mix with other household chemicals such as toilet bowl cleaners, rust removers, acids or ammonia-containing products, as hazardous gases may result.